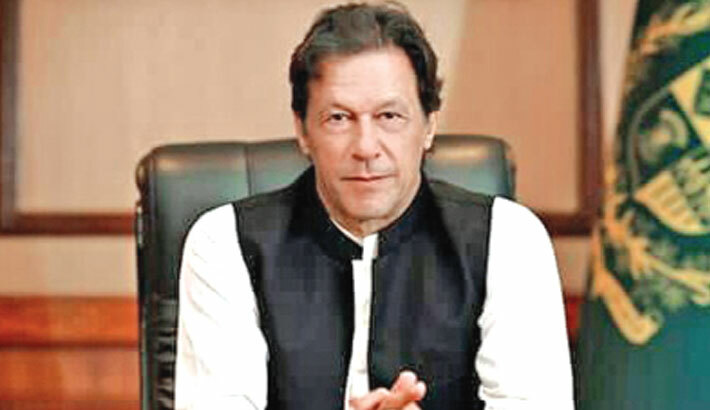 Islamabad: There was no room for “jihadi outfits and jihadi culture” in Pakistan, Prime Minister Imran Khan has said amidst intense global pressure on his government to rein in the terrorist outfits operating from its soil after the Pulwama attack, reports PTI. Tensions between India and Pakistan escalated after a suicide bomber of Pakistan-based terror group Jaish-e-Mohammed (JeM) killed 40 CRPF personnel in Jammu and Kashmir’s Pulwama district in February 14. India launched a counter-terror operation in Balakot. The next day, Pakistan Air Force retaliated and downed a MiG-21 in an aerial combat and captured its pilot, who was handed over to India on March 1. Talking to editors and senior journalists here, Khan said that India’s NDA government wants to win the general election based on its politics of hatred against Pakistan, The Express Tribune reported. He warned that the security risk at the Line of Control (LoC) persists until elections are held in India and asked the nation to be prepared at all times. The armed forces of the country are ever ready and would give a befitting response in case of any military aggression, the prime minister said. The international terror financing watchdog FATF last month decided to continue the ‘Grey’ listing of Pakistan for its failure to stop funding of terrorist groups such as Jaish-e-Mohammad, Lashkar-e-Taiba and Jamat-ud-Dawa. In June 2018, Pakistan was placed in the ‘Grey’ list and given a 27-point action plan by the FATF. This Plan was reviewed as the last Plenary in October 2018 and for the second time in this week-long meeting. Speaking about the law and order situation in the country, Khan said that banned organisations should have been eliminated a long time ago, but it was his government which was taking action against them.